The professionals at EFC work with individuals to improve their relationships in their couple-ships, marriages, families, friendships or at work. The relationship may be in a crisis, at a crossroad or seeking a healthier connection. Our professionals have specific training in relationship counseling/coaching and marriage enhancement. 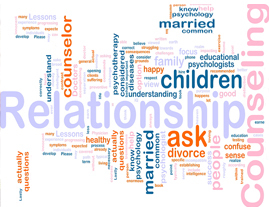 We know personally and professionally about the challenges of modern day relationships. With this knowledge we bring to the counseling/coaching process a comfort with the issues common to evolving relationships.